I live and work in Cranleigh. 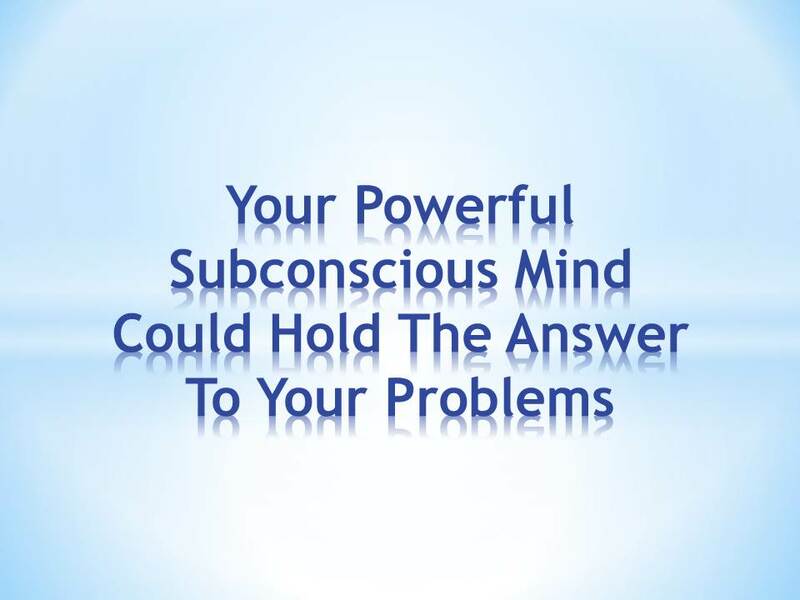 I find working with the subconscious mind absolutely fascinating and really enjoy being able to help people resolve their issues and reach their goals. I take the profession and my position of trust very seriously and I would like to reassure you with the knowledge that you can talk freely to me in confidence, in a friendly environment and without judgement. Any treatment will be designed individually to suit you and your personal circumstances. Whether you want to lose weight, stop smoking or improve your performance. 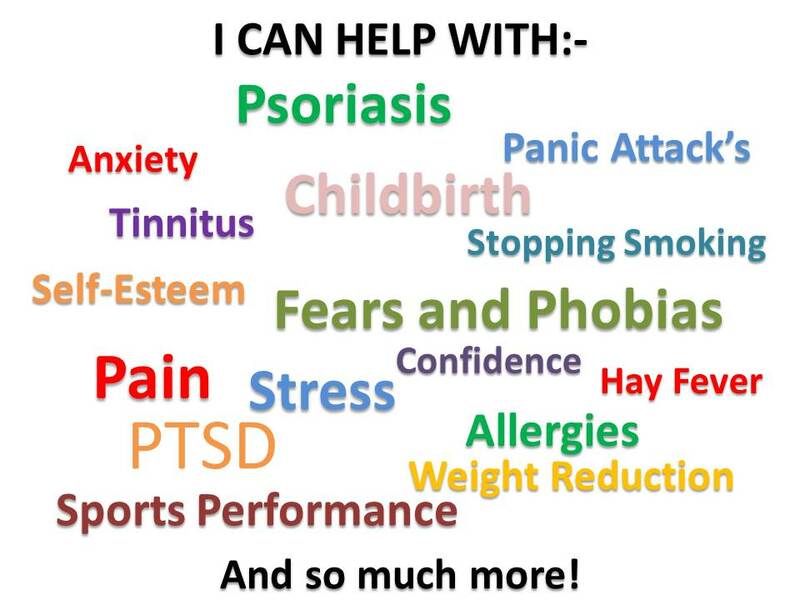 Or, if you suffer from anxiety, panic attacks or are in pain, hypnotherapy could help you. Whatever your problem, why don’t you give me a call or email me so that we can take the first steps towards your brighter future? I have a range of techniques I can use to help you as I have invested much time and money in my professional development. 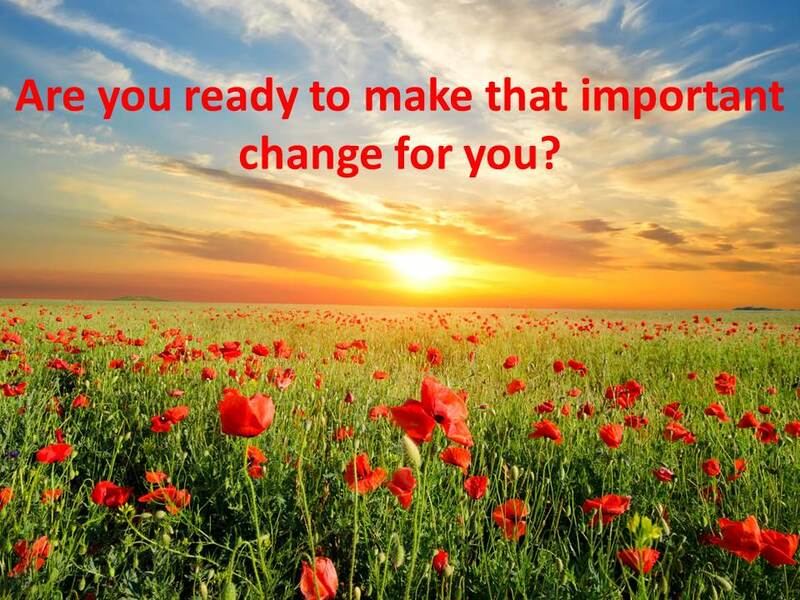 When we first talk we will determine the most effective approach to best suit you and the changes you want to make. You can visit my Facebook page for regular posts and more information. Using hypnotherapy can work well for anxieties, fears and phobias and I have had great success with these using the OldPain2Go methodology too. Clients I have helped have had a wide range of issues and they themselves have described them as silly or weird. I think that is unfair. Whatever the issue it is very real to you and therefore deserves to be taken seriously. The technique I use for PTSD is extremely effective in dealing with past memories which still bother you in the present day. I am able to do this without the need for you to go into great details of the event/memory. This means less upset and minimal personal disclosure. OldPain2Go refers to pain from an injury or a condition that has been diagnosed by a medical professional and is being treated with pain relief medication but can also refer to emotional pain, anxiety, fears and phobias. This fantastic methodology is not hypnosis as no trance is needed. The methodology is based on how the brain processes things and I will guide you through each step of the way: getting the conscious and the subconscious aspects of the mind to talk to each other with me as an intermediary. The KGHypnobirthing course is accredited by the Royal College of Midwives and is a full antenatal training which is simple, logical and profound. It has been designed to meet the needs of every mother to have a gentle, natural birth for herself and her baby. Private courses are usually taught over four weekly sessions of approximately 3 hours in the comfort of your own home. It is also possible to arrange the sessions over two days or in small groups of up to three couples. For regular posts and more information about my Hypnobirthing Classes please see my Facebook page. 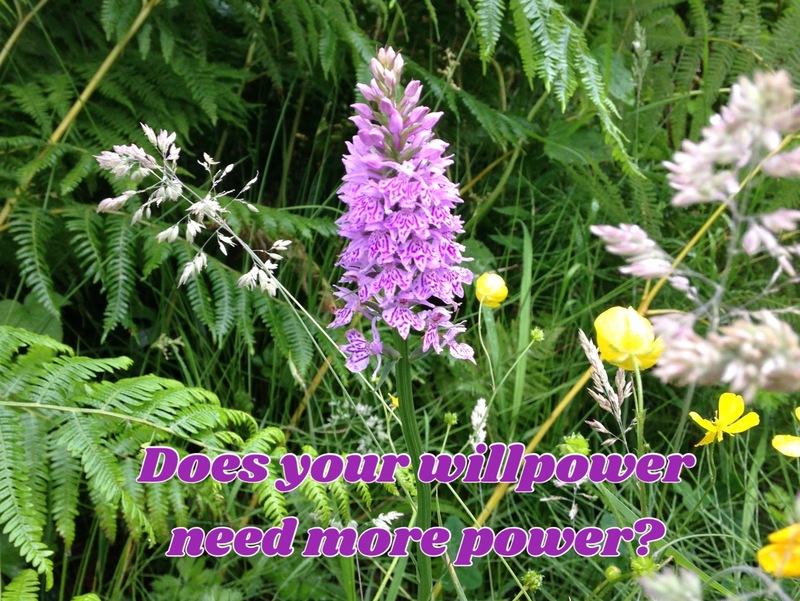 For weight reduction, I can use a series of hypnotherapy sessions or the Hypno-Gastric Band method. I believe it is important to deal with the habits that cause people to put weight back on as well as keeping an eye on their target. An Initial Consultation of approximately ninety minutes will be required before a one-off Therapy Session which will also take about ninety minutes. 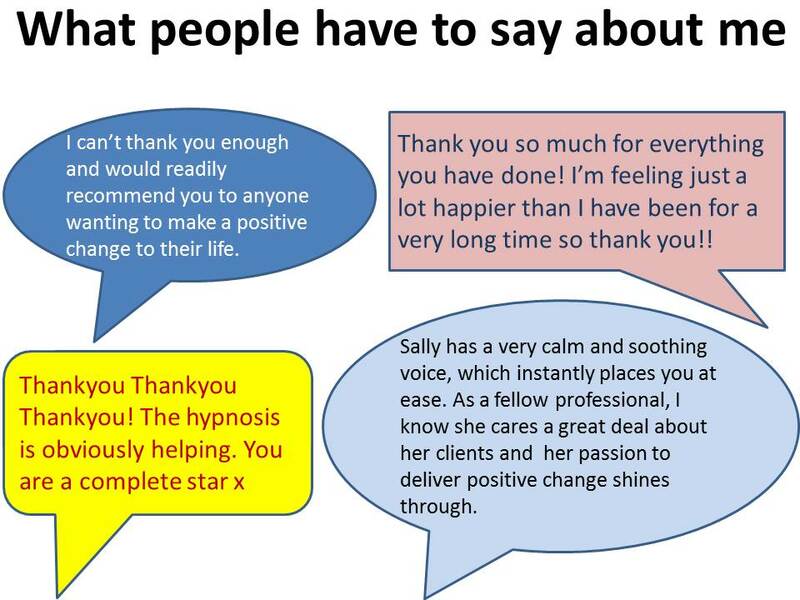 My hypnotherapy is tailored completely to the individual, your personal circumstances, preferences and desired outcome. Sometimes lists are not helpful. Just because the one thing relevant to you is missing doesn't mean that I can't help you! Whether by phone or email I will gather a little information from you initially and answer any questions you may have. We will then work out the best technique to suit you and I will explain the pricing structure and length/number of sessions required. We can then book an appointment and I will email you a form to complete. This can be done by opening it in Word, completing and emailing back to me or by printing it, filling in by hand and bringing it with you to your first appointment. Whatever technique I am using I will always explain my plans to you beforehand. We will work together to be sure of a clear understanding of the desired outcome and how this will be achieved. Your comfort and safety are of the utmost importance. Even in a very relaxed trance state, you will still be aware of your surroundings and the sound of my voice. Appointments are usually at my consultation room in Cranleigh which is up two flights of stairs. Home visits within 12 miles of Cranleigh may be possible. This year I completed a KGHypnobirthing training course that is accredited by the Royal College of Midwives which was fantastic and a wonderful string to my bow. My most recent qualification is becoming an OldPain2Go Practitioner, this is a wonderful methodology that not only can reduce or totally remove pain, it works well with phobias, anxiety and many other issues. An amazing tool that I have used to help many people with fantastic results. I hold a Basic Disclosure Certificate and have Professional Civil Liability Insurance and I am a Professional Member of The National Hypnotherapy Society and undertake to abide by their code of practice and ethics. I am on an Accredited Register that has been accredited by the Professional Standards Authority. I offer great value for money to all my clients and I am generous with my time. Initial telephone consultations are free. Hypnotherapy Sessions are £75 each for between one hour to 90 minutes and 3 to 5 sessions may be required. The OldPain2Go technique is usually a one-off session charged on a client by client basis roughly structured on an hourly rate of £110. The session could be anything between one to three hours. 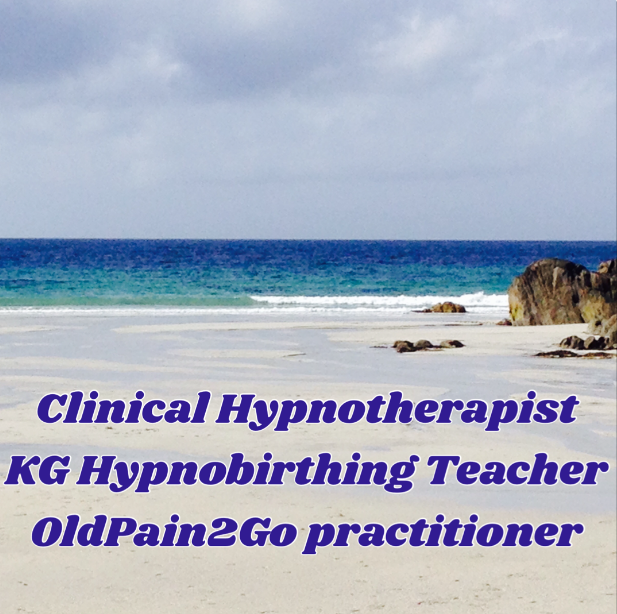 The KG Hypnobirthing Course is £375 for a couple privately and £280 for a couple in a group. Courses are taught over four 2½ to 3-hour sessions in the comfort of your own home. If you would like to get together with another couple (maximum of three couples) the group price applies and the hosting couple will receive a further reduction to £250. For Smoking Cessation there is a one-off investment of £180. An Initial Consultation of approximately ninety minutes will be required before a one-off Therapy Session which will also take about ninety minutes. The Hypno-Gastric Band is an investment of £280. This therapy consists of four sessions of approximately ninety minutes.